Instructor Kristyan is a qualified Iyengar yoga teacher (Introductory Level II) and has been teaching at WHWC for three years. Iyengar yoga is a method of yoga developed by Mr BKS Iyengar (1918-2014) in India. This world renowned method focuses on alignment, precision, balance and strength. 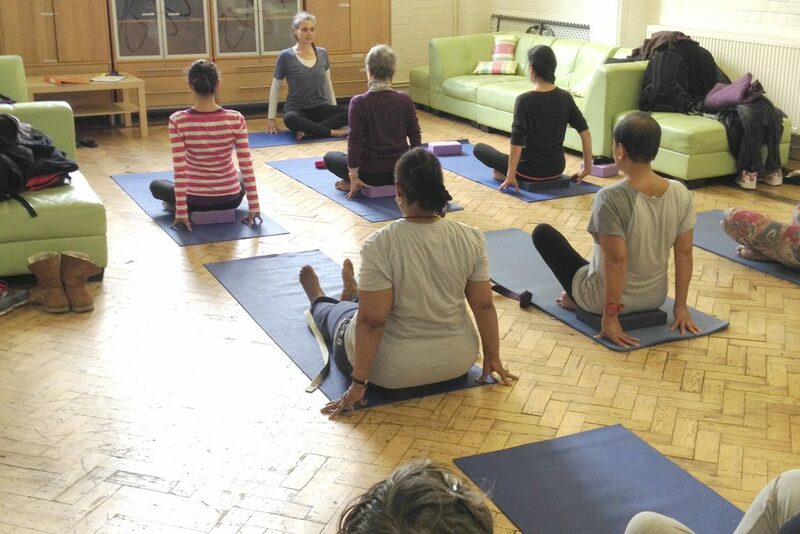 The class will give newcomers a chance to experience, learn and practise Iyengar yoga for the first time without the pressure of trying to keep up with those who have been doing yoga for a while. If you would like to come along please just drop in, or for more information call the centre on 020 7328 7389. Kristyan has been studying yoga for over 30 years and practising Iyengar yoga since 1989. In 2015 she completed the rigorous two year Iyengar teacher training and is a certified Introductory Level II teacher. She is currently preparing to to do the Junior Intermediate Level I certificate. Her practice of yoga has enabled her to manage a long standing chronic respiratory illness. Yoga is a Sanskrit word meaning ‘to yoke, or join’ all the aspects of self together. Kristyan firmly believes in the regular practice of yoga creates strength of body and equilibrium of mind. She is delighted to be teaching at the West Hampstead Women’s Centre. A long term resident of West Hampstead, both her children were born in a flat in Cotleigh Road! Kristyan also teaches meditation and is a practising artist and writer. Class is run by Anila. ALL WELCOME.